The World Anti-Doping Agency (WADA) has ended a probe into 27 members of the Russian fencing national team who were included in the report by Canadian lawyer Richard McLaren on alleged state-sponsored doping in Russia. The second part of McLaren’s WADA-sanctioned report, which claimed that over 1,000 athletes benefited from the alleged plot to conceal positive doping tests, included those 27 members from the fencing team. As Russian Fencing Federation (RFF) announced on Friday, WADA terminated the case against Russian fencers. “RFF conducted an investigation of all the facts, evidence and circumstances mentioned in the McLaren report, and presented strong evidence of the non-participation of Russian fencers in the use of doping. 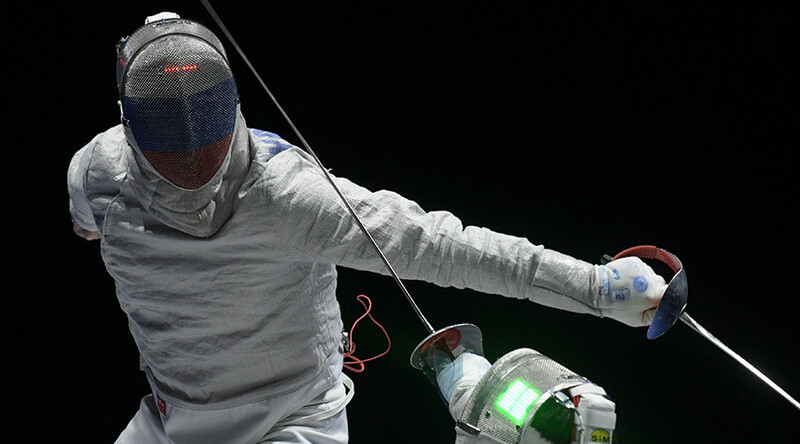 International Fencing Federation (FIE) examined the received materials, conducted additional study and forwarded to WADA the results of its investigation, including explanations for each athlete. WADA found the evidence presented exhaustive and decided to terminate the case against Russian fencers,” RFF said in an official statement. WADA has confirmed to RT the “decision not to assert ADRVs [anti-doping rule violations] against the 27 Russian fencing athletes,” mentioned in McLaren’s report. Last month, former WADA head Richard Pound said that he is confident that Russian athletes will be found guilty of doping at the 2014 Winter Olympics in Sochi.